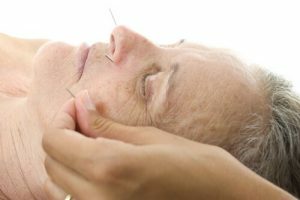 Many people seek the help of acupuncture. Research shows that it relieves pain and nausea and it’s proven to be effective in various situations. It was developed in China, and the rest of the world took interest in this practice. According to general belief, the body contains flows of energy, called “qi”. Apparently, when there are disruptions of this flow, the disease appears. Acupuncture helps fix the imbalances through certain points identified through the skin, called acupoints. The procedure involves inserting metallic needles into the skin, to relieve pain and treat a number of conditions. Electrical stimulation or heat might help the procedure. There are other acupoint stimulation techniques, such as massage, heat therapy, and herbal medicine application. Although scientists are not sure how it helps and if it really is true, there are studies that show how acupuncture helped in various cases. Acupuncture had some promising results, like helping people relieve postchemotherapy vomiting and nausea. Also, it may be effective in treating menstrual cramps, low back pain, headaches, osteoarthritis and many others. So, there are many benefits to acupuncture. For example, it is a safe method when performed correctly. You can combine it with other treatments, and there are very few side effects. Also, it is helpful for people who are not suitable for pain medications. Like everything else, it has its own risks. If a patient has a bleeding disorder, he cannot use this method. There are cases when a needle can break and affect an internal organ. Moreover, the insertion of needles can cause bleeding, soreness and bruising. Also, needles may affect the patient if they are not sterilized. Are Acupuncture Costs Covered by Medicare? Medicare Part A and Part B don’t cover the costs for acupuncture, because it is not something medically necessary. If you’re enrolled in an Original Medicare, you might have to spend money from your own wallet. So, before planning to start an acupuncture treatment, it’s better to ask about the price first. However, a Medicare Advantage plan can have benefits that are not included in the Original Medicare plan. If you really want your acupuncture costs covered, you should enroll in a Medicare Advantage plan. This plan is required to cover at least the same level as Medicare Part A and Part B. It offers additional coverages that are not included in the Original Medicare plan. But not every Medicare Advantage plan covers the same services, and benefits vary. Usually, they cannot cover services that are not available under the Original Medicare plan. We’ll help you determine Medicare fee schedules for 2019 and 2019. To find out if acupuncture is covered, ask your BGA Insurance Agent for an advance coverage decision. This way, you can see if the service is considered necessary and it may be covered until you receive the service. We can help review your current plan to determine if you are paying too much out of pocket for costs that you could otherwise avoid!